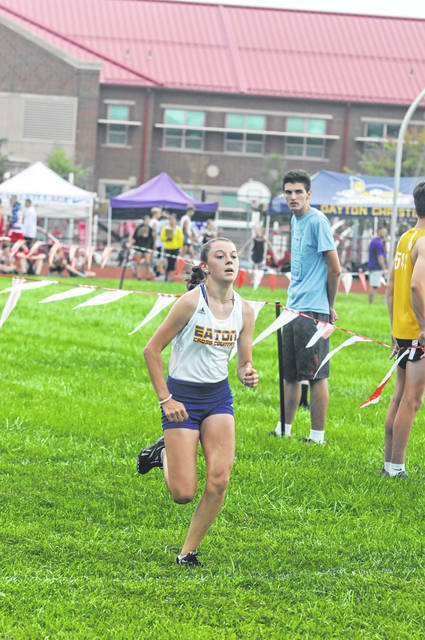 Eaton junior Alex Newport heads to the finish line during the Bob Schul Invitational on Saturday, Aug. 25. 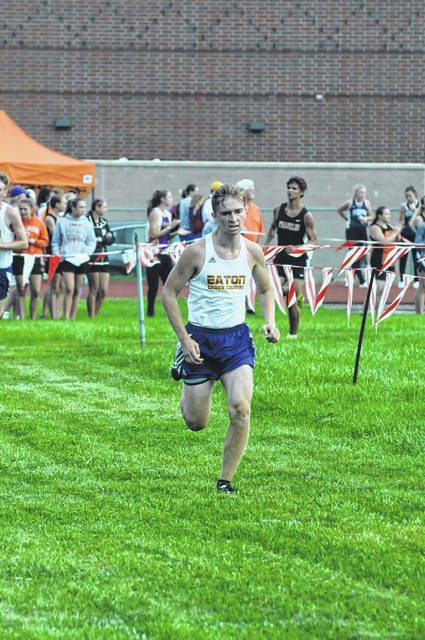 He finished 12th to help Eaton place third as a team in the Division I-II race. 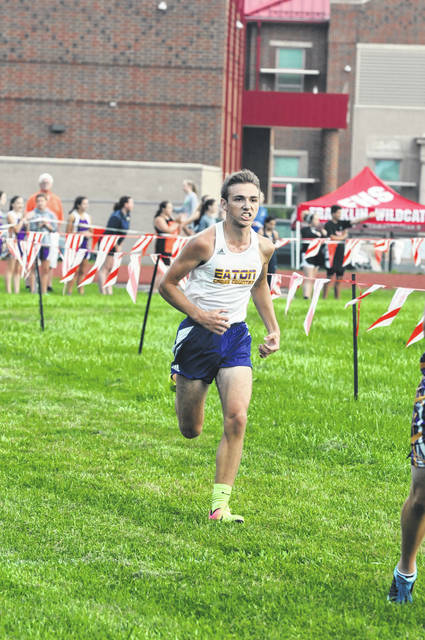 HEBRON — Eaton’s boys and girls cross country teams opened the season at the OHSAA pre-season meet on Saturday, Aug. 17, with the Eagles boys capturing second place in the field of 24 teams. The girls squad finished 12th in a field of 21 teams. 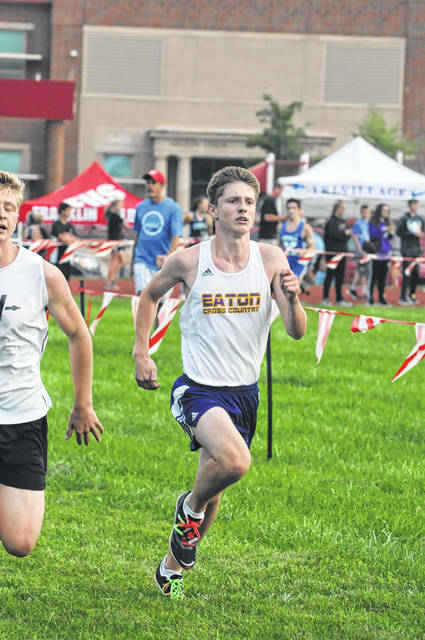 This past weekend, Eaton’s boys claimed third place in the Division I-II race at the Bob Schul Invitational hosted by Milton-Union, while the girls were 10th. McKinney said he felt the team got out of the gate too fast. Eaton had three runners in the top 15. Junior Alex McCarty was 13th in 17:49. 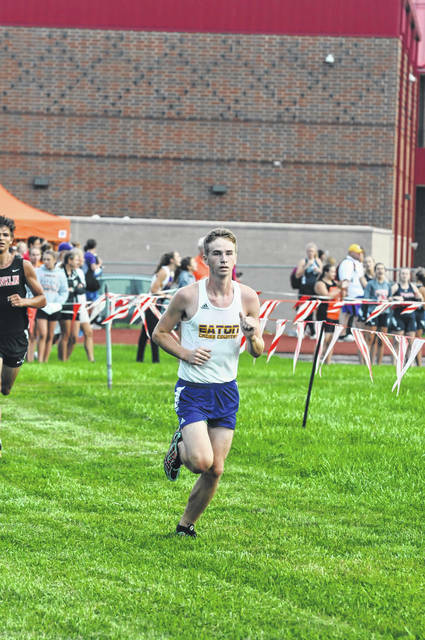 He was followed by sophomore Jack Bortel and junior Alex Newport, who were 14th and 15th with times of 17:51. 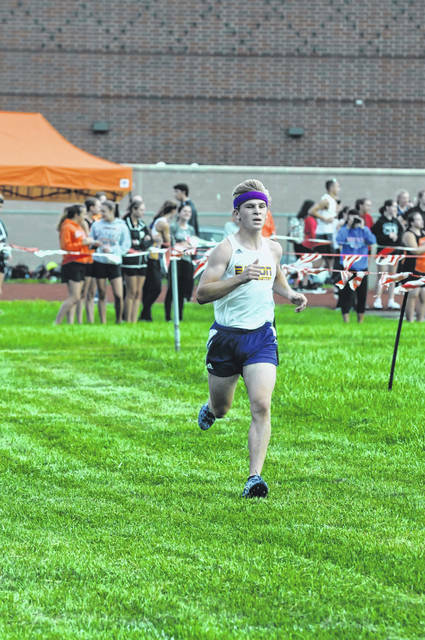 Sophomore Austin Kopf was 72nd in 20:14. 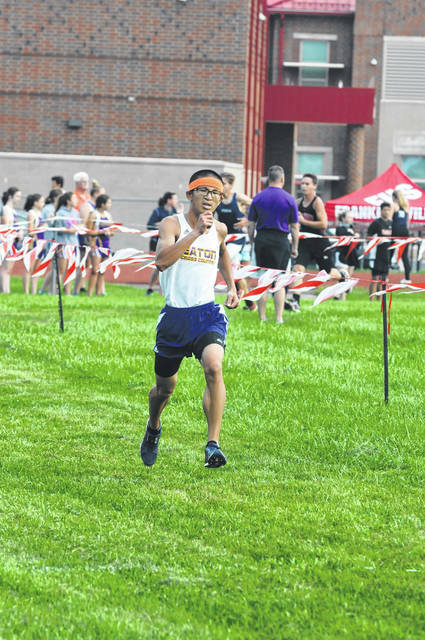 Sophomore Logan Cottle was 108th in 21:26. 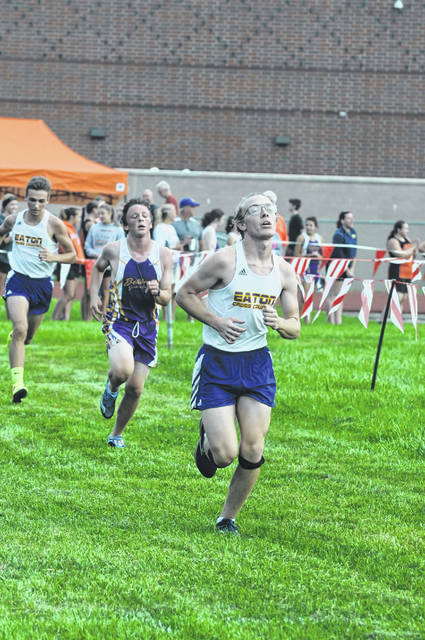 Senior Gideon Smith was 112th in 21:35 and senior Isaac Rohrer was 144th in 23:28. 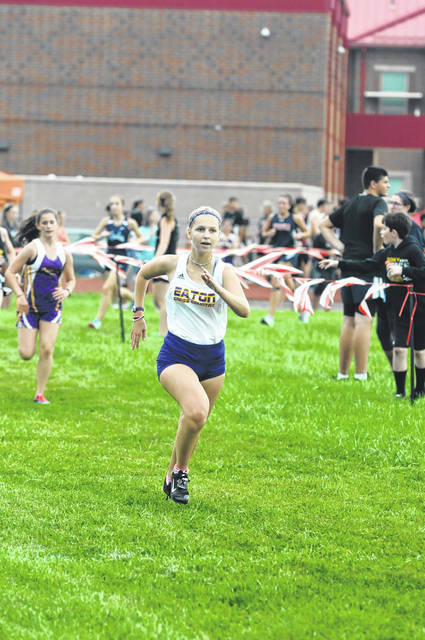 The girls were led by senior Claire Meyer, who placed 33rd with a time of 23 minutes, 3 seconds. 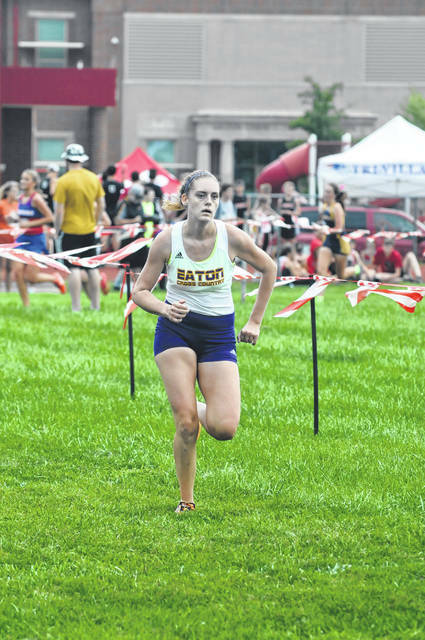 Senior Brooke Caplinger was 55th (24:17). 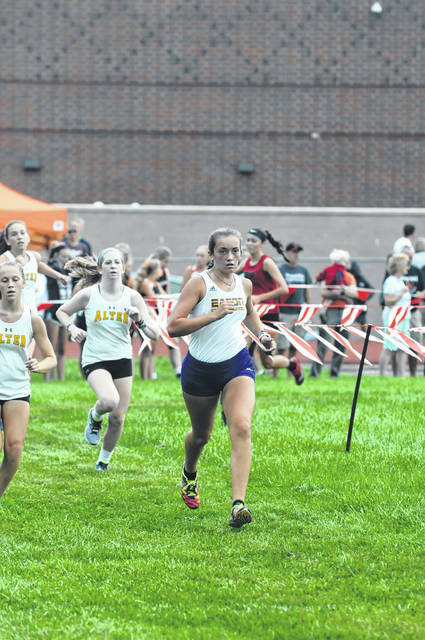 Freshman Ali Mowen was 62nd in 24:40, while sophomore Rachel Buckler was 90th in 25:46, junior Alexis Owen was 95th in 26:09 and sophomore Cari Metz was 100th in 26:41. McKinne said he is looking forward to seeing how his team progresses. 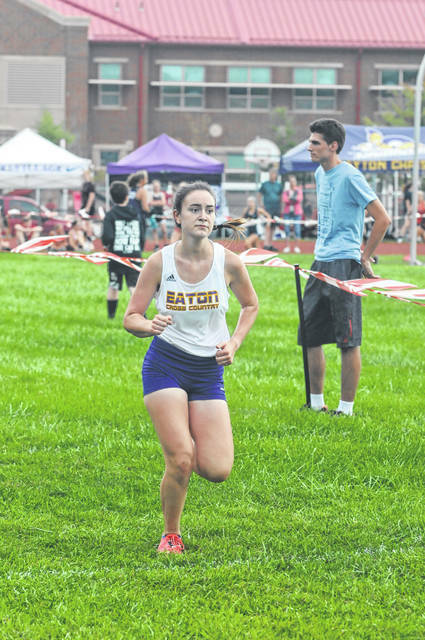 “Overall, it was a great starting point, a great opportunity to experience the state championship course and an opportunity to get the always tough first race out of the way. 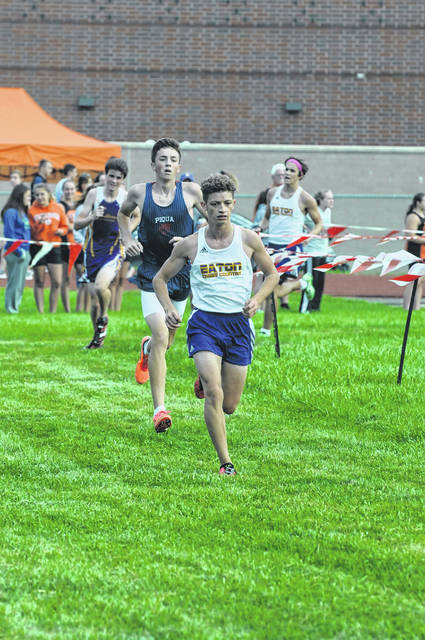 No one will remember how anyone placed at this meet later in the season, especially those teams and individuals that improve as the season progresses,” he said. 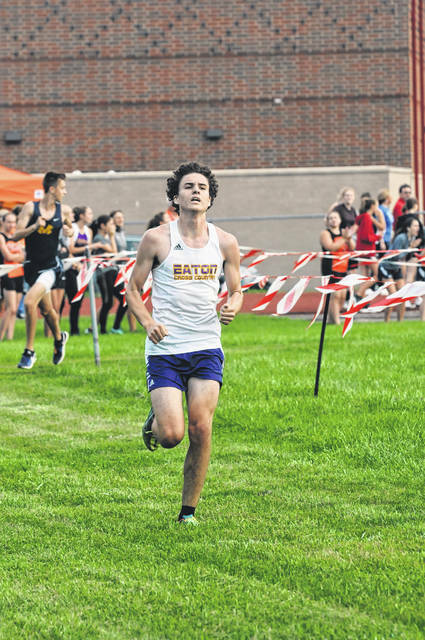 This past weekend Eaton competed at the annual Bob Schul Milton Union Invitational. 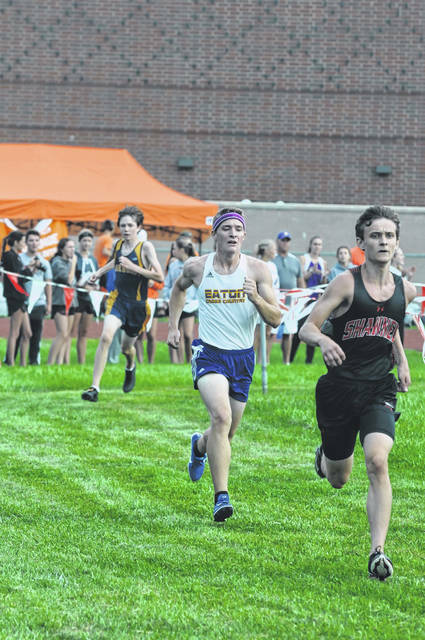 “We added the invitational to our schedule to see some of our league/district teams early in the season and because we will be running the SWBL Championships on the same course in October,” McKinney said. McKinney said his runners all reduced their times from the previous week while several made their season debut. In the boys race there were 208 runners. McCarty was 9th overall in 17:15. Newport was 12th in 17:31. 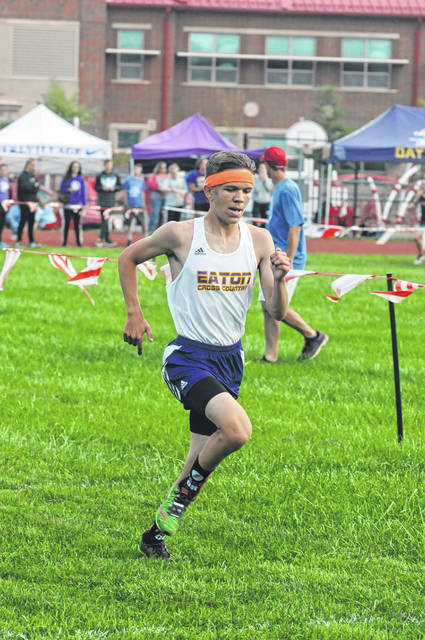 Bortel was 19th in 17:47. Coates was 25th in 18:07. Bulach finished 26th in 18:09. 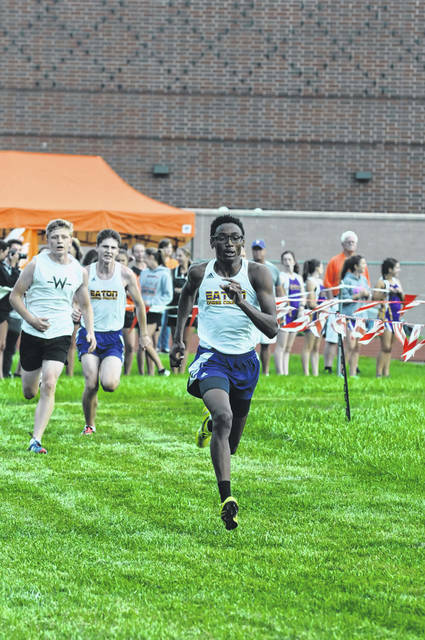 Dylan Suding was 33rd in 18:22 and LeKendric Brown was 51st in 18:57 to round out the Eagles top seven. 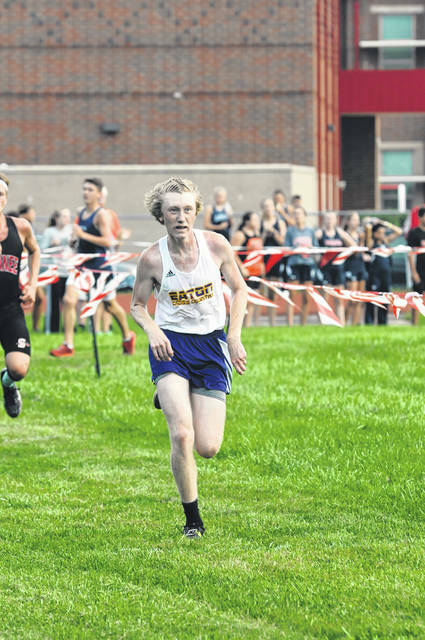 Others who ran included: Logan Cottle, 53rd, 18:58; KeAnthony Bales, 57th, 19:06; Austin Kopf, 58th, 19:10; Gideon Smith, 69th, 19:24; Ben Brewer, 71st, 19:27; Austin Pugh, 76th, 19:45; Isaac Rorher, 112th, 21:24 and Cole Hauser, 134th, 22:12. 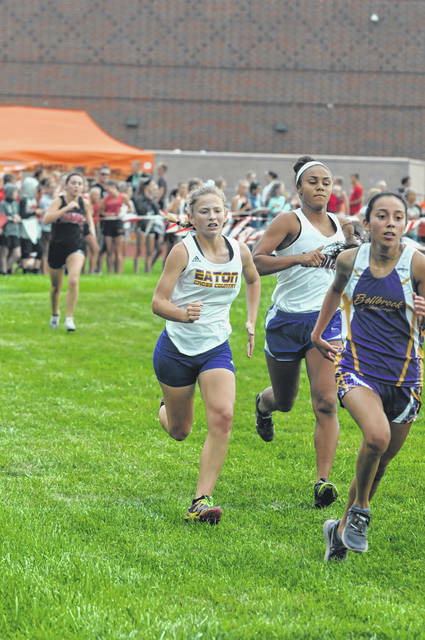 In the girls race there were 208 runners. 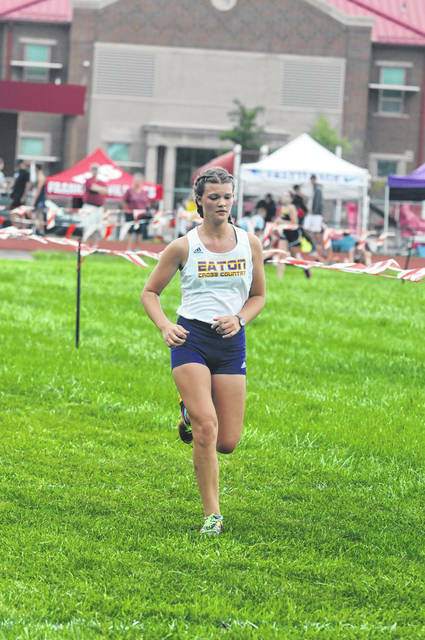 Meyer paced the Eagles with a 26th place finish in 22:01. Caplinger was 33rd in 22:33. Mowen placed 5oth in 23:25. Buckler was 65th in 24:24. Owen was 76th in 24:19. 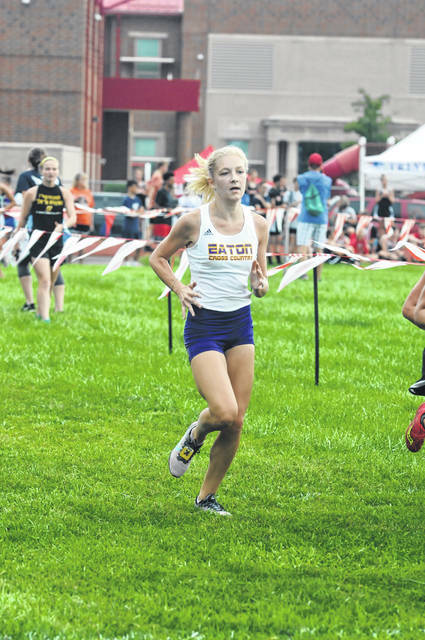 Briana Baker finished 77th in 24:24 and Metz placed 86th in 24:39 to round out the top seven. 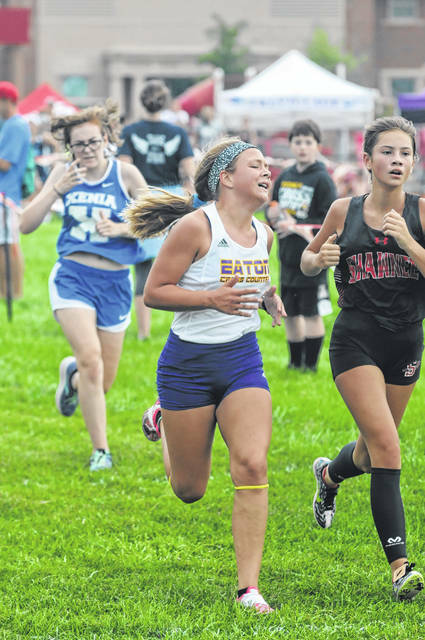 Other who competed were Laura Clyburn, 94th, 24:56; Elaina Maynard, 109th, 25:19; Alaina Webb, 114th, 25:26; Arica Hamilton, 115th, 25:30; Josie Bulach, 134th, 26:34; Nina Albinus, 173rd, 28:38; Katy Rich, 200th, 30:44. 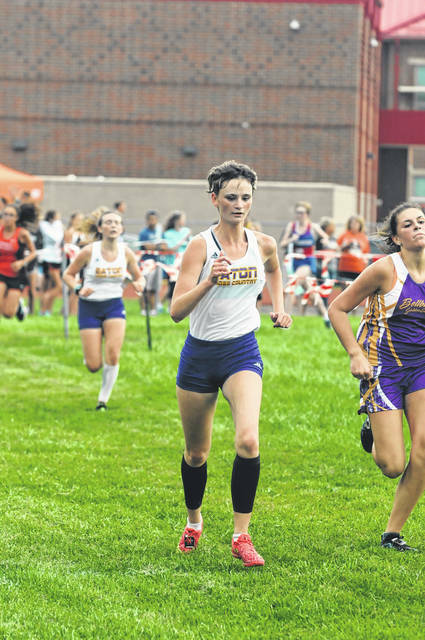 The Eagles will travel to Circleville Saturday, Sept. 1, to compete in the Circleville Kiwanis Invitational. 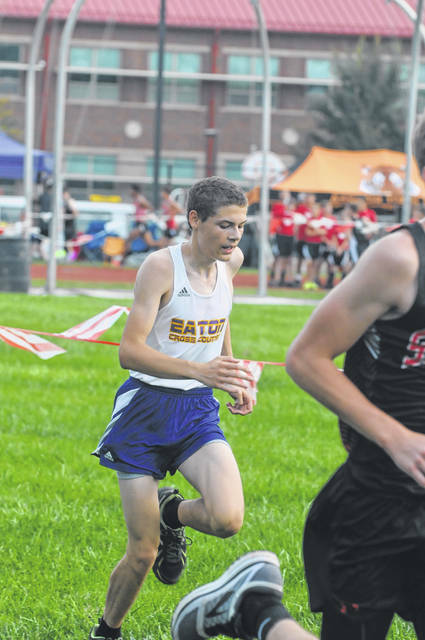 https://www.registerherald.com/wp-content/uploads/sites/41/2018/08/web1_ehsbcc14.jpgEaton junior Alex Newport heads to the finish line during the Bob Schul Invitational on Saturday, Aug. 25. 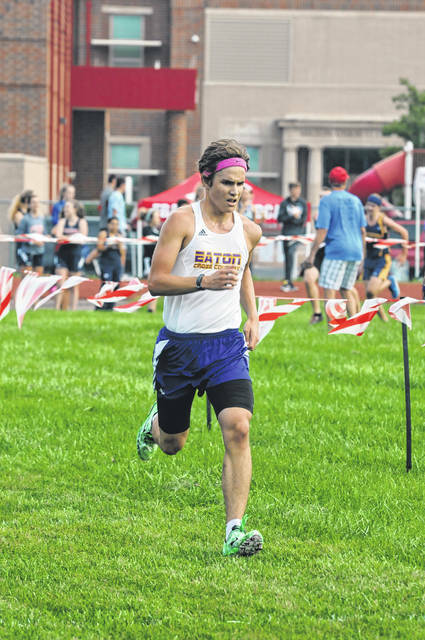 He finished 12th to help Eaton place third as a team in the Division I-II race. 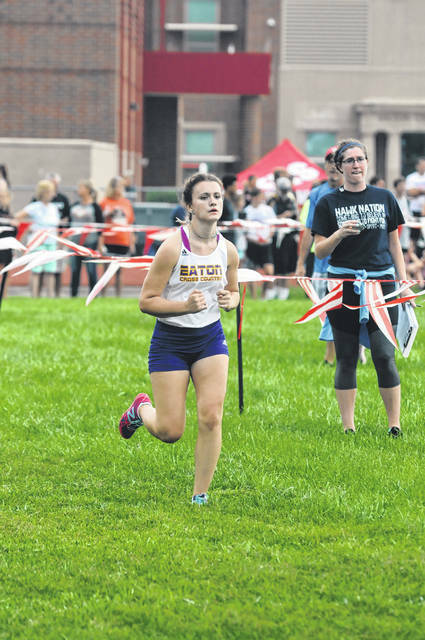 Eaton’s Brooke Caplinger was 33rd in 22:33 at the Bob Schul Invitational. 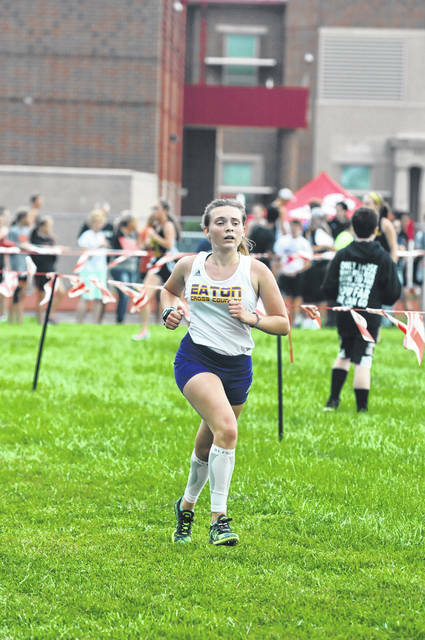 As a team, Eaton placed 10th. 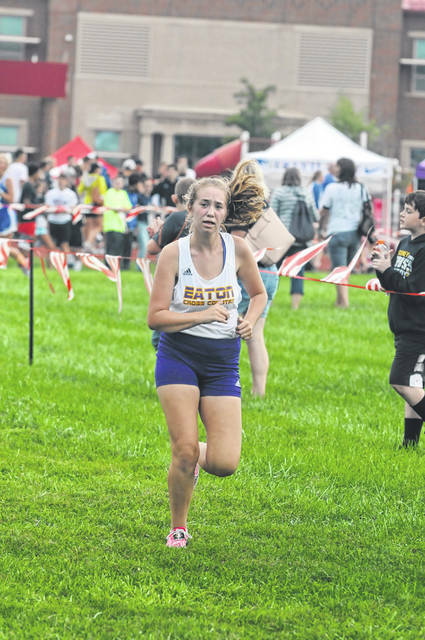 https://www.registerherald.com/wp-content/uploads/sites/41/2018/08/web1_ehsgcc13.jpgEaton’s Brooke Caplinger was 33rd in 22:33 at the Bob Schul Invitational. 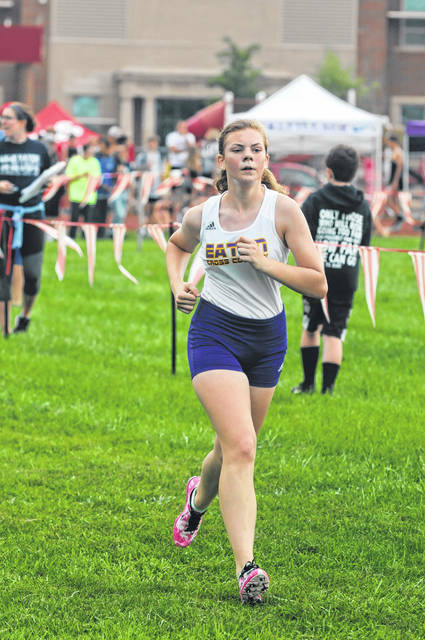 As a team, Eaton placed 10th.